And you shall make the altar of acacia wood, five cubits long and five cubits wide; the altar shall be square, and its height shall be three cubits. You shall make its horns on its four corners; its horns shall be of one piece with it, and you shall overlay it with bronze. We now come to our first piece of furniture that is stationed outside of the veil and outside of the screen door of the tabernacle. This piece of furniture is actually the one most opposite the Holy of Holies. This altar is the first step to entering into the presence of God. When we step outside of the screen of the holy place there is no more furniture of gold. This altar in Exodus 27 was to be made of acacia wood. As in the pieces of furniture we have already studied, this wood represents our humanity. This altar would be made of wood and it would be overlaid with bronze. Bronze represents judgment. Since the fall of man in Genesis 3 this humanity, this flesh of ours, has been overlaid with judgment because of sin. When God discovered Adam and Eve in the garden in the nakedness of their sin, an innocent animal was slain and its skin was used to cover Adam and Eve. The judgment that fell upon that animal should have been the judgment that fell upon Adam and Eve, but instead God showed mercy to them and allowed this animal to be a temporary substitute. This altar of wood that represents our humanity, is covered in bronze, which represent the judgment that is upon us, and it will be on this altar that animal sacrifices will be made as a temporary substitution for the death that we so rightly deserve. 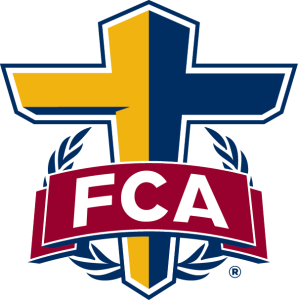 As I wrote this devotional I wondered why bronze for judgment? The Hebrew word for bronze in Exodus 27:2 is nechosheth and it means brasen, brass, chain, copper, fetter of brass, filthiness, steel. In Isaiah 60:17 and Jeremiah 6:28 this same word is used to describe worthless people. In Ezekiel 16:36 this word is favored to mean corrupt. Bronze is made from mixing two minerals together. It is not a pure metal. Tin is kind of like temptation. When temptation remained a single element on this earth it caused no harm to Adam or Eve. We do not know how long the tempter, the serpent of old, slithered around impotent on this earth nor do we know how long the tree of the knowledge of good and evil stood untouched and ignored by Adam and Eve. However, what we do know is that when Adam and Eve connected their own lusts with the enticement of the serpent as he used his lies to build the temptation for the fruit of the tree to dangerous levels, their lust was conceived and sin was birthed and it immediately became toxic. Copper, silver, and gold are all in group 11 of the periodic table and they all share certain attributes. God created us in His image. He created us to share in His attributes. Thus He purposely and selectively chose to use these precious metals to display His glory and to tell His story. These three metals are known by their resistance to tarnish, their extreme difficulty in counterfeiting, durability, fungibility, and their reliable store of value unmatched by any other metals known. They also are the most conductive of electricity of all metals. God created us to be a continuous circuit of His life running from Him through us back to Him. Do you know what happens when copper becomes bronze? It loses much of its ability to be conductive. It is as low as 7% as conductive as copper. Oh beloved, do you see now why bronze is the representative of judgment? Do you see the way that our God uses all of creation to tell His story? Even the metals of the earth and the design of the tabernacle teach us of who He created us to be and how He has a plan to get us back connected to Him. You are good. You are life. You created us to be connected to You. You created us to be conductive of Your very being, created in Your image for Your glory. We were created to be pure and holy and precious, yet we are now tarnished by the results of our connection to sin. Yet, you sent Your Son here to step in and remove the impurity of sin from us and restore are connection to You so that we, once again, could experience the life of Your Spirit flowing freely through us. Purify us oh Father and make us clean. I awoke this morning singing this song, Mercy Tree by Lacey Sturm. I am currently writing on the Ark of the Covenant as I prepare Devotions From Exodus Part Two for publication. Our God has always desired to meet us at His mercy. The Law of God has always rested underneath His mercy. From the very beginning with the fall of man, with the deception of Eve, and the disobedience of Adam, God’s mercy is what came to confront them in the garden, not His wrath. His mercy has always triumphed over judgment, “For judgment will be merciless to one who has shown no mercy; mercy triumphs over judgment” (James 2:13). I believe the Ark of the Covenant in the Old Testament held the heart of God on stone. In Genesis 6 we read how the heart of God was grieved that man was so wicked and the intent of his heart was evil all the time… when we take the time to really look at the law of God we can clearly see it is God teaching us His heart and teaching us how to love Him and others. The law of God would bring the judgment of God, and yes, the Ark of the Covenant would contain the commands of God, and it is by these commands that all the world is judged (Romans 11:32), but there was something beautiful and awe inspiring that was to be constructed to sit upon the Ark… it would be called the mercy seat. Once again mercy would come before judgement. The mercy seat would be where the high priest would sprinkle the blood of the sacrifice. It would be by the blood of this sacrifice that God would forgive the sin of the individual person and the entire nation of Israel. If you look back through the prophets and the history of Israel recorded in Kings and Chronicles, you will see that when Israel would fall away from God and into the worship of false idols this would always be her darkest times and this would also be when the feasts, including that of the Passover would be set aside and the law of God would be ignored and even lost. It’s funny how accustomed we become to mercy… we come to expect it… to feel entitled to receive it. If we want to receive of that mercy, we have to come in the realization that we deserve His judgment (Romans 3:19-20), because only the guilty seek mercy (Luke 18:9-14). To deny that we need the mercy of God is to deny that we are sinners and to deny that we are sinners is to deny the free gift of life that is offered to us. It is to be so blinded by pride that we cannot see the glory of the God that loves us beyond the truth of who we are… and it is to continue to live in the lie. The Ark of the Covenant in the Old Testament held the heart of God on stone. The Advent was the coming of the heart of God on flesh. At the appointed time, God exchanged the heart of stone contained in the Ark of the Covenant for a heart of flesh in the body of His Son (Ezekiel 36:26). Our God exchanged the Mercy Seat for the Mercy Tree. And an angel of the Lord suddenly stood before them, and the glory of the Lord shone around them; and they were terribly frightened. But the angel said to them, “Do not be afraid; for behold, I bring you good news of great joy which will be for all the people; for today in the city of David there has been born for you a Savior, who is Christ the Lord. And when He had taken some bread and given thanks, He broke it and gave it to them, saying, “This is My body which is given for you; do this in remembrance of Me.” And in the same way He took the cup after they had eaten, saying, “This cup which is poured out for you is the new covenant in My blood. Beloved, have you met Him there… there at the foot of that Mercy Tree? I have been a published author since 2010. Let me tell you, this author gig is a tough business. If you don’t already have a “stage” in this world… or a long list of capitalized initials behind or in front of your name… your books just kind of sit in a box in your office. 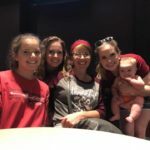 I am just a woman from a small town who married young and started out marriage with a family who fell in love with Jesus Christ and His Word… and was given as a gift of the Spirit of God the ability to teach and speak the Scriptures. Trust me it’s not me… it’s all Him. I have spent the last four years giving away as many books as I could afford to buy, because my heart for writing them was always to share the Word of God and tell of the amazing scarlet thread that flows from Genesis to Revelation and to teach others how the beautiful Gospel of Christ is woven into the Law of God. When the Lord led me to write and submit Devotions From Genesis, It’s Not Just Ancient History my husband and I were barely making ends meat. The economy had plummeted and my husband had lost half his income (but not his job thanks to the amazing company that he works for) and I was a full time homeschooling momma. You can hear a little of that journey here: Money Matters. When the Publishers sent in their acceptance of my manuscript, they also sent in the price tag it would cost for its publication. This price was not something my husband and I could afford. So I resounded to be flattered by the acceptance and move on with our lives. When my Daddy heard about my refusal to go forward due to the cost, he sat down and wrote me out a check to cover the publication and production cost. You see my parents believed in me and they believed that God had a plan for this book and this series. Had my Dad not helped me with Devotions From Genesis, Devotions From Exodus Part One, Learning to Live in Freedom, would never had happened. 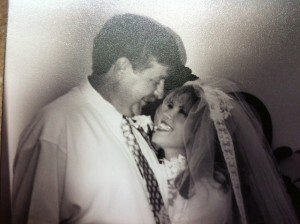 Three weeks ago my Daddy was diagnosed with lung cancer. The cancer is in his rib, collar bone, lungs, lymph nodes, adrenal glands, and tailbone. As best that we can tell, the cancer has invaded every week point in my Daddy’s body. 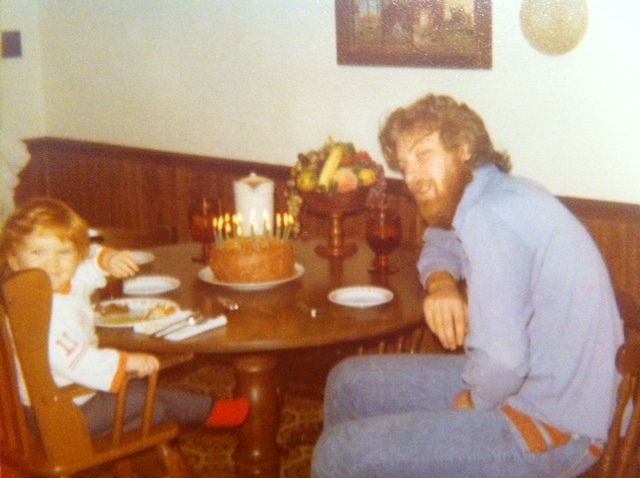 In my Daddy’s life he had several bouts with pneumonia, had been thrown out of the back of a truck as a child and broke his collar bone, he broke his tailbone while building our house, he pulled muscles in his chest at work, and also fractured a rib. The cancer has found all these places of weakness and has attacked. My dad started treatments last week. So far there have not been many outward signs of the inward battle he is actively engaged in. However, today that changed. Today I received a text letting me know that the chemo was having its effect on my Daddy’s body. So for those of you who see my Daddy on a regular basis… he will look a little different the next time you see him. As I shared this news with my husband he reminded me that my Daddy was in a battle… a real one… and in real battles we walk away with scars… and this was just a scar to show the evidence that my Daddy was indeed fighting. Do you remember that check that my Daddy wrote that allowed the door to this ministry to be open? Well, my contract states that if I sell a certain number of copies of my book, in either paperback or ebook, I receive a full refund of my author’s publication cost. I would love to be able to receive this refund so that I can return the money to my Daddy. 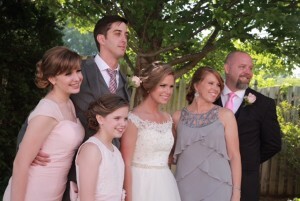 My Daddy has always given freely to his children and supported us in every way and never expected anything in return. I hope you can understand my heart’s desire to be able to do this for him. If you already have purchased the books I need as many reviews as possible up on Amazon. I have asked for this many times, and now you know why… it has never been so that I could get my own show on TBN… or make the best sellers list. I have always just wanted to share the Word of God and to sell at least enough books to give back what was given to me… its a validation of sorts. So if you could please leave a review here, Devotions From Genesis and/or here, Devotions from Exodus Part One. I would be ever so grateful! If nothing else, will you share this post? The Giveaway has begun! 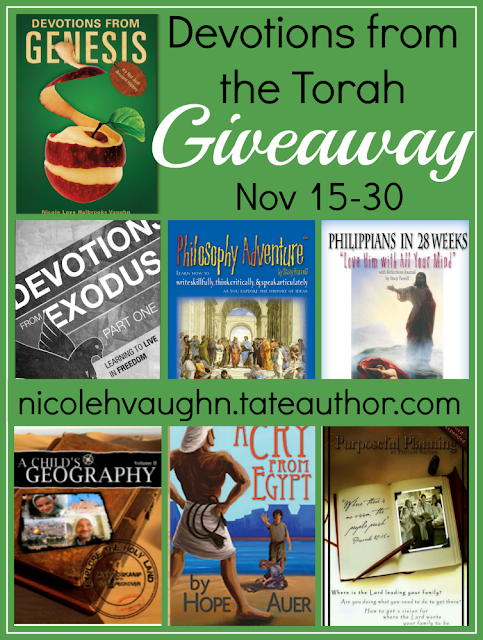 I am excited to have bloggers from around the world, from Australia to Canada, to be a part of launch team to help promote my book series, Devotions From The Torah. Some great authors have also offered some of their books to prizes in the giveaway. Devotions from the Torah is a series of Devotionals that are and will be written from the first five books of the Old Testament, Genesis, Exodus, Leviticus, Numbers, and Deuteronomy. The Lord put it on my heart to write these books to help today’s church, especially the American church, see how relevant these books still are today and how much they can teach us about our Saviour. I was burdened by the thought process I seen in believers as I would here them say, “well we are in the New Testament, the Old Testament doesn’t really matter” . I believe my Devotions from the Torah series will be a great tool in the hands of anyone who wants to know more about God… even if you don’t quite believe in Him yet, but are willing to check Him out for yourself… I encourage anyone at any time to open these devotionals up and use them as a guide and a help through the pages of the Torah, the Books of the Law… Genesis and the first 20 chapters of Exodus are ready for you know! And you can also enter to win a free copy below through my Launch Team! 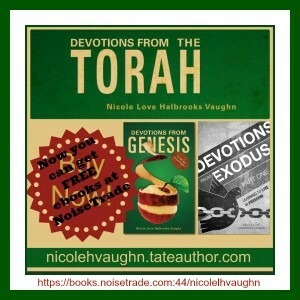 The Devotions from the Torah Launch Team is excited to help Nicole celebrate the release of the first 2 books in this series — Devotions from Genesis and Devotions from Exodus Part One — with a special giveaway of incredible books, several of which will enhance your study of the Torah! This giveaway is a $160 value! A Child’s Geography: Explore the Holy Land by Ann VoskampIraq, Jordan, Israel, Saudi Arabia, Egypt, and Turkey…your family probably hears or reads about these names frequently. In an increasingly complex world, it is vitally important that children learn to see the world through their Creator’s eyes. As we explore the Holy Land you and your family will delight in incredible, mysterious landscapes, hidden wonders and beautiful peoples – all created in God’s image. Over the years I have read many different devotion books, from the standard short paragraph ones with a question and verse at the end, to the in depth ones where you are searching the Bible in detail. What I found with this devotion is a fresh new perspective. This devotion is different from other ones I have read. There are no questions to answer, but a lot of verses throughout and wonderfully worded prayers at the end of sections. They are great reminders to always be in prayer. Each section is filled with worded illustrations of the stories in a way that makes it easy to relate to. They show how the stories in Genesis are still relevant today. I loved the personal touch the author added which gives the material a relatable aspect. We learn the great stories of the beginning, with the reminder that God will never leave us. The rainbow after the flood shows his love for us. Another important thing I came away with was the fact that our salvation is personal. We can’t save anyone else. It takes a personal obedience to Christ for it to be real. We can put our faith and trust in God for everything. With the authors honest writing and ability to weave all the great truths into a book that is easy to read and understand, I look forward to reading more devotions on other books! 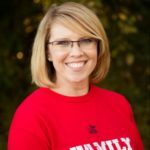 Sara is a wife and homeschool mom who resides in Orlando Fl with her family. 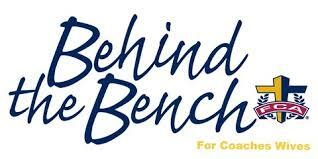 Check out her blog Lost Island of Book Reviews for more information on authors and their writing. 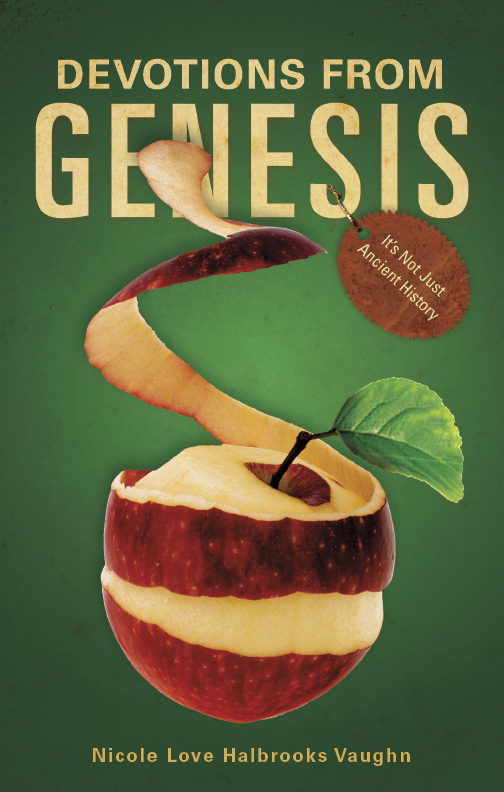 To experience Devotions From Genesis, It’s Not Just Ancient History for yourself go here to get a paperback or ebook edition! Purchase on Amazon and leave a review. Devotions From Exodus Part One, Learning to Live in Freedom is also now available for pre-order here: Pre-Order Devotions From Exodus. 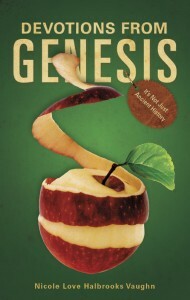 Nicole asked if I’d review her devotional, “Devotions From Genesis” back in January 2013. 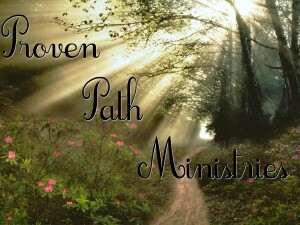 I was looking for devotional avenues at the time and agreed, choosing to do it Monday to Friday every week. At 50 chapters in Genesis, I thought at first I’d be done by mid-March, but discovered that Nicole had other plans. 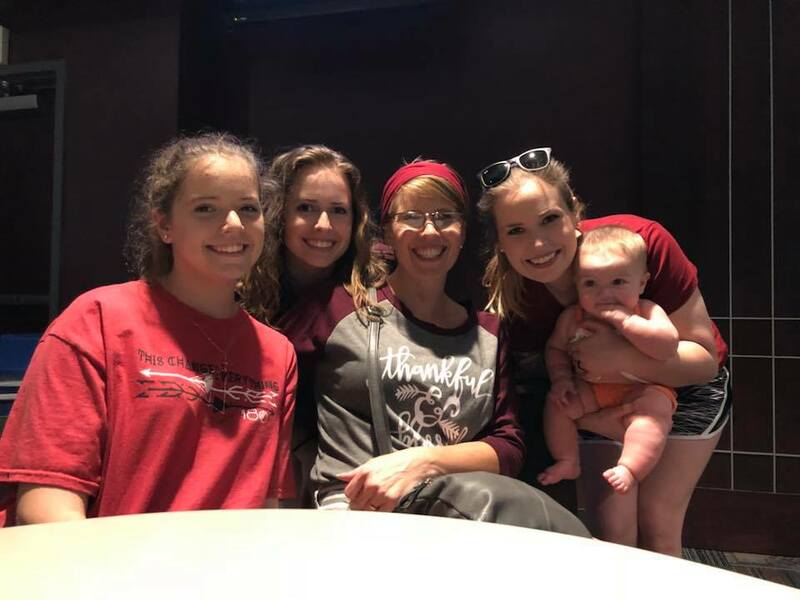 Nicole draws parallels from the characters in Genesis to God’s desire to interact with mankind throughout the Bible and how we might apply that to ourselves today. She divides Genesis into three parts: Discovering God’s character through the fall of man, learning obedience to God and the consequences of disobedience, and the final section, learning about the parallels between Joseph and Christ. This is a fresh look at the Book of Beginnings. I very much enjoyed all the Scripture she used throughout the study. Not once did she take any Scripture reference out of context, which is a big thing for me. Her use of Scripture even in her closing prayer of each session is sure to help the reader who might not be familiar with the thoughts she expresses to God. This study is not a workbook. There are no places to answer questions or to write things down. To that end, the devotional reader will want to keep their journal nearby to jot down thoughts, Scriptures, and answers to questions that the text might raise for them. Many find it a healthy practice to keep a prayer journal or a study journal nearby anyway, so going through this particular study will continue that habit. This study is also not a historical expose’ of the times in which the events occurred. 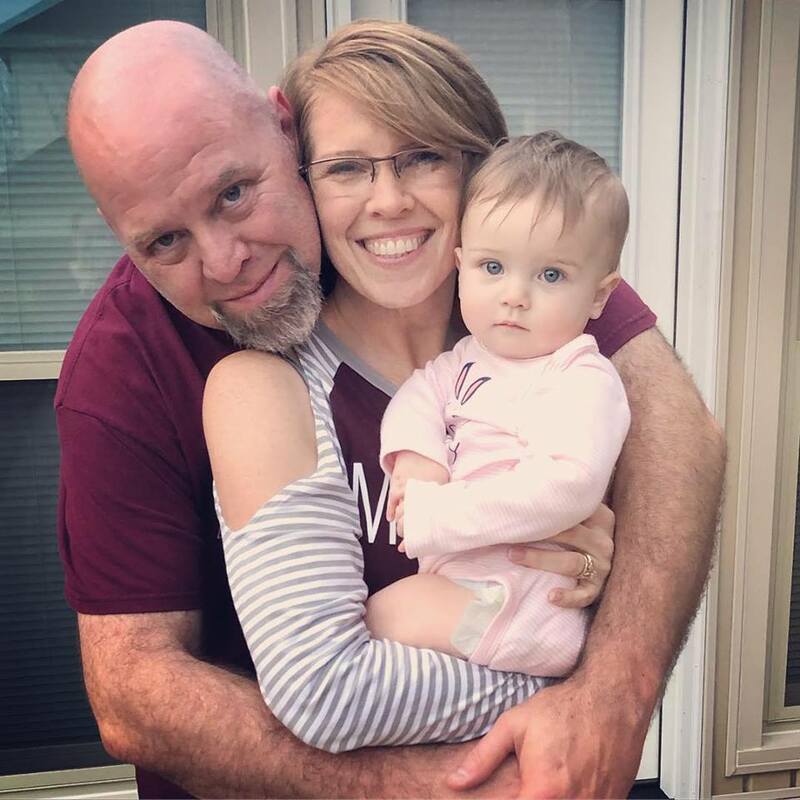 Nicole’s primary focus is on the spiritual applications of the events and people in Genesis moreso than matching up those events to verifiable records. That would require a much more indepth look at the book of Genesis and has been covered by other authors. As a devotional, there isn’t room for this kind of discussion. So if the reader is interested in how the lessons found in Genesis apply to their lives today, this is the devotional to pick up. Read each chapter in Genesis before you carry on in the text. This gives a great background for the day’s session. If you are not pressed for time, taking time to open your Bible to each of the remaining Scripture references for that day will help to internalize that day’s thoughts as well. Then, if you are like me, you will be tempted to write out your own commentary on what God is teaching you as you travel with Nicole through the pages of Genesis. It was all I could do at times not to begin writing my own commentary of what God was teaching me. But to keep from potentially overshadowing Nicole’s efforts for the purposes of this review, I refrained except for a couple times. Great read, great devotional, nothing out of context, even the prayers have Scripture in them. . . I give this devotional a five out of five. Marilynn is the author of a series entitled Becoming the Bride of Christ: a Personal Journey. She lives with her two teenagers in Kelowna BC Canada. My second devotional is currently in the editing process. 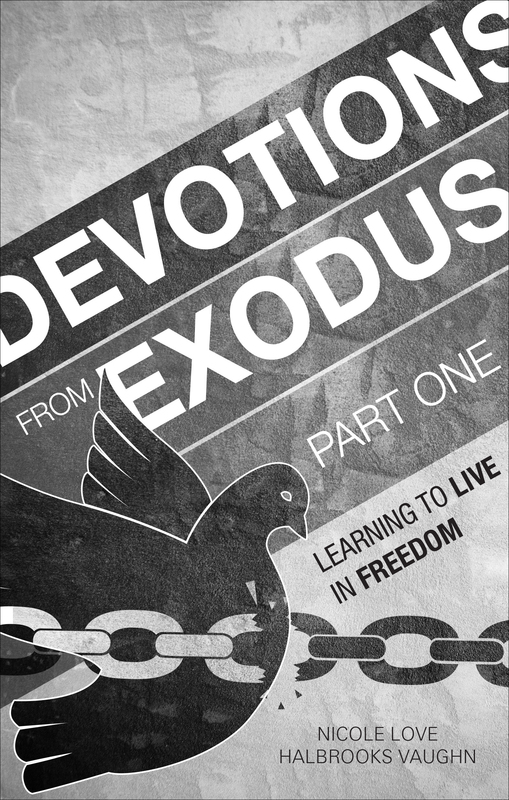 Devotions From Exodus will be available some time in the spring/summer. 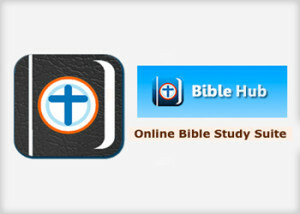 In the meantime I would love help in gathering reviews on Devotions From Genesis. Here is the Google books link that will take you to Devotions From Genesis, It’s Not Just Ancient History online. I will send a printed copy of the book to the first ten people who contact me with their written review on Amazon or any other book retailer and/or own personal blog. 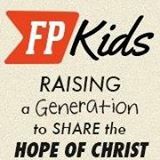 Help me spread and share the Word of God! Please know that you have no clue how hard posting this and making this request is for me… but I do so because I know my heart is not to promote me, but to preach Christ and Him crucified. 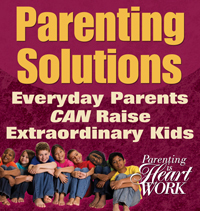 Please know that I give away more books than I have ever sold and freely share my complete PDF version at no cost. If you are interested in using my book as a free gift in your ministry please let me know and I will send you the PDF version at no cost. My heart truly is to help people learn how to dig into the depths of the Word of God and to see how every word is relevant today. I want people to see the unchanging beauty of our God and the timeless treasure of His Word. Will you help me? “The most important thing that you have accomplished in your work is that you are able to share to your readers your thorough research on the Old Testament of the Bible, particularly on the life of the pharaoh, Moses, and the people of Israel. You do this by discussing the birth of Moses and how a Hebrew child freed the Lord’s children in Israel and relating this in our modern-day living. The Bible passages that you cited, as well as the personal experiences that you shared, strengthen your argument. The prayers that you provide after each topic discussed also guide your readers on what to be thankful for and what to ask from the Lord.